Year: 1957 Item #: 1682 Views: 4,690 Comments: No Comments. chairs with a touch of adventure in their conception - chairs designed for perfect comfort. 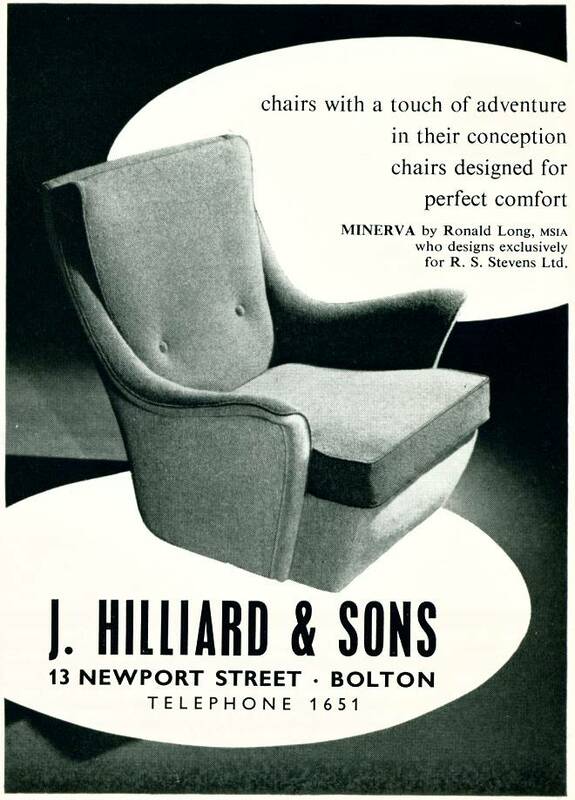 Minerva by Ronald Long, MSIA who designs exclusively for R. S. Stevens Ltd.